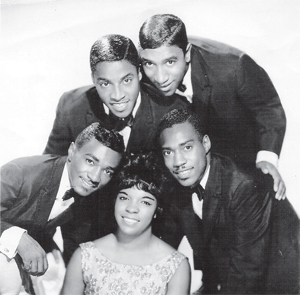 ← Motown Monday Sadly Mourning Bobby Rogers of The Miracles. The music business referred this group as one hit wonders when they were anything but. Their first song was their biggest hit at #1 “Our Day Will Come” but it shouldn’t have ended there. My Summer Love” had reached #16 on the Hot 100 their third release, the original version of “Hey There Lonely Boy” went to #27. Songs like Baby Come Home, When You’re Young and in Love, By The Way and certainly this 1965 release of the one you are hearing should have topped the charts. Nash had a beautiful voice and the group sounded beyond good enough to have stayed on the top. 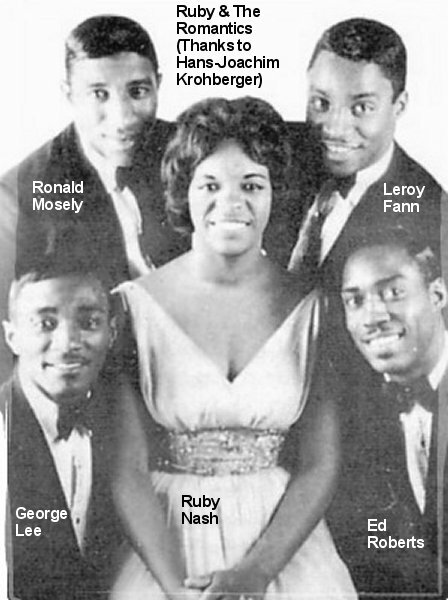 In reality Allen Stanton of the label they were signed to Knap didn’t even want them to record “Our Day Will Come” and later cut another fabulous song Moonlight and Music out of an album. So you tell me. Sadly the songs they recorded went on to become hits for other artists but as you can hear something doesn’t make sense. So this Akron, Ohio group sadly faded. As with many labels marketed whom they wanted talented or not. God knows Motown did the same with so many exceptional artists. “Your Baby Doesn’t Love You Anymore” was released as the B side to a WWII song We’ll Meet Again. So it wasn’t even marketed. Labels destroyed and ended some of the music industry’s best talents. Beyond sad. The Carpenters scored big with the song after Karen’s death. 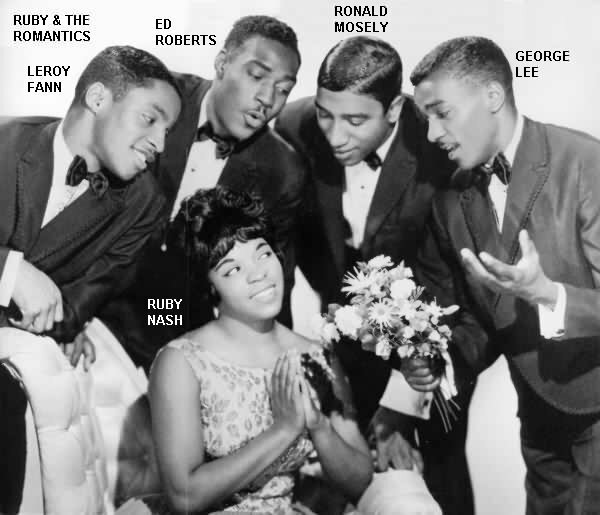 But in my book Ruby and the Romantics original recording of it in 65′ was the #1. In 1980 they released their 1966 Greatest Hits – Kapp KS3458 (stereo), 1980 MCA 541 and on a 2002 CD Our Day Will Come-greatest hits.